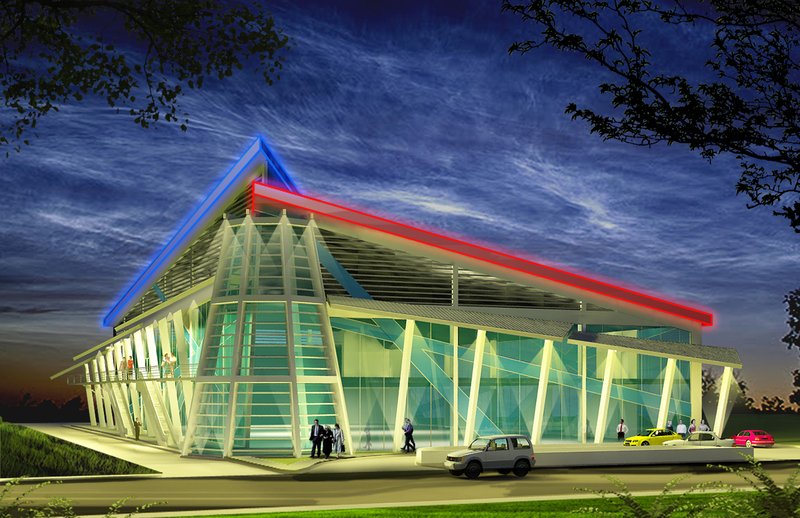 This design is an exhibition & expo building on a 5,000 square meter lot. It is comprised of a single structure with 2 basements and 2 above ground levels. 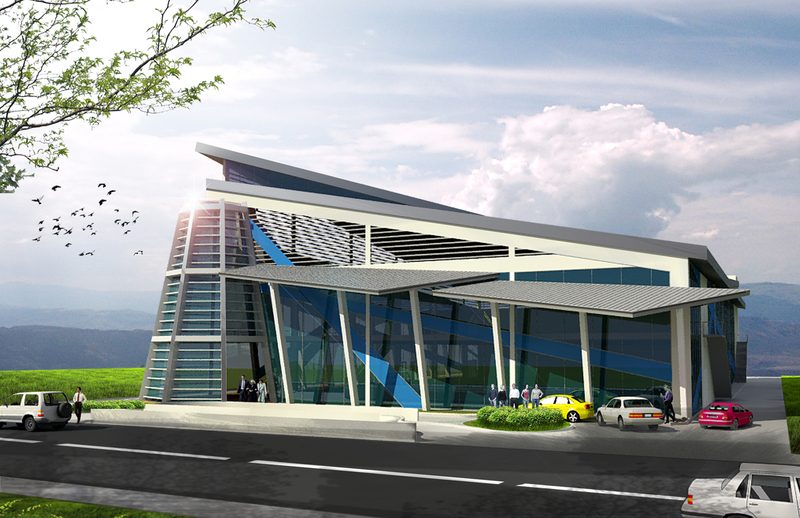 Its form and function were inspired from the angles and lines of the Philippine Flag. Vehicular and pedestrian access is available along an entrance canopy, that radiates from the Main Entrance Tower on the left. 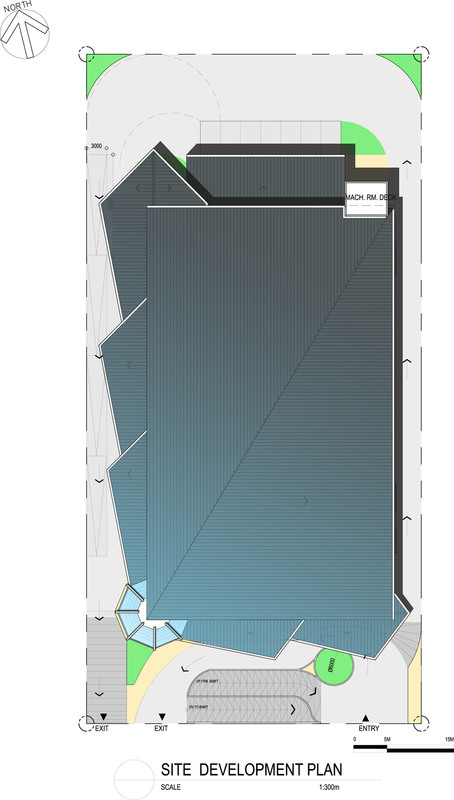 Upon entry, one can proceed to either of the 2 levels, and users can also opt to move towards the rear partitioned spaces, by the elevated walkway seen on the left elevation. 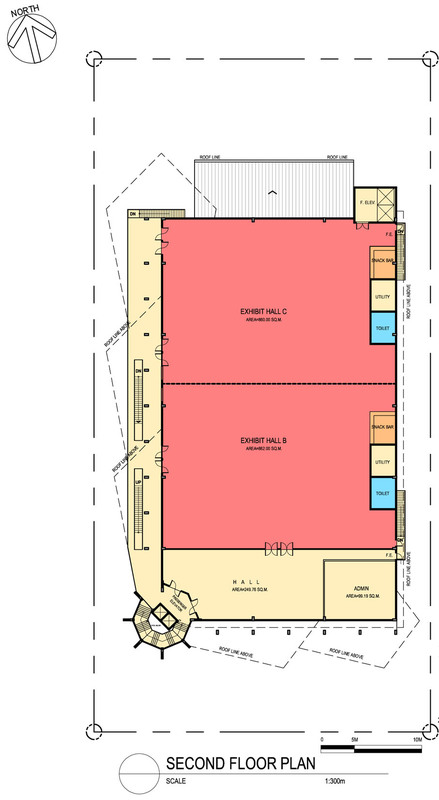 Exhibit halls are 1,700 square meters in size and can be partitioned to 850 square meter sub partitions. 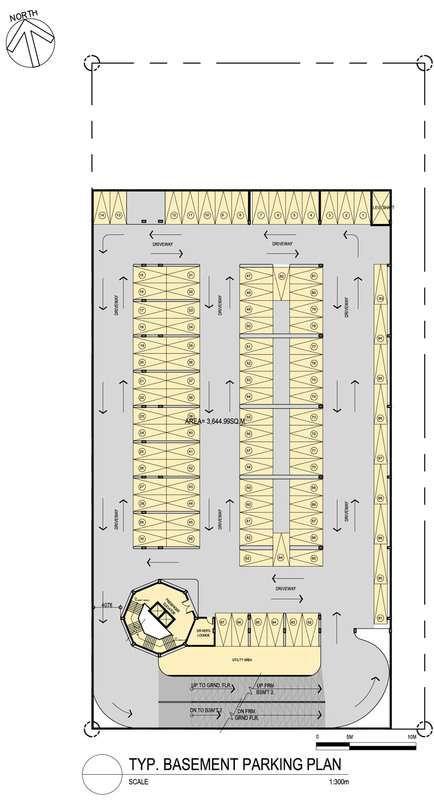 The exhibition areas are provided with toilets, engineering/utility rooms and snack bars in each partition space. 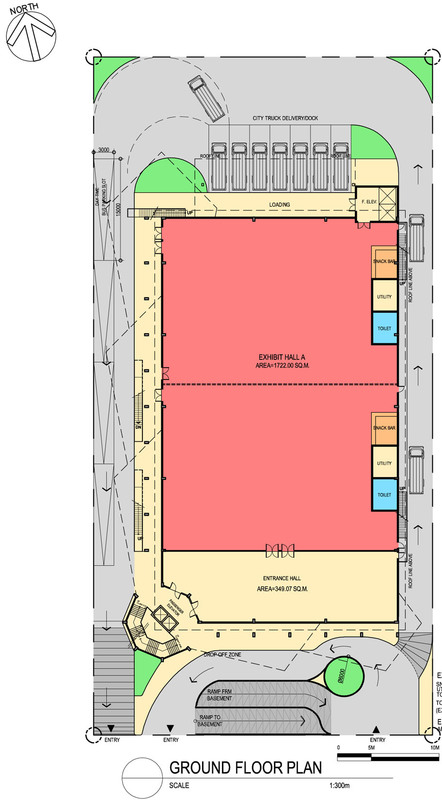 Each level may form a combined exhibition space for larger requirements. 190 Parking slots are provided in 2 basements, while 4 tour buses can park on grade level. Exhibition deliveries are accommodated via city truck sized loading areas located at the rear. Passenger elevators are installed at the Main Entrance Tower while freight elevators are provided to the rear, adjacent to the loading docks. Mechanical space provisions will be in either the basement and or the loft space formed by the roof and 2nd floor ceiling.